﻿Easter week - Arrival day came be Thursday 18th April, Friday 19th or the usual changeover day of Saturday. "Bijou for two" describes The Doll's House exactly!! 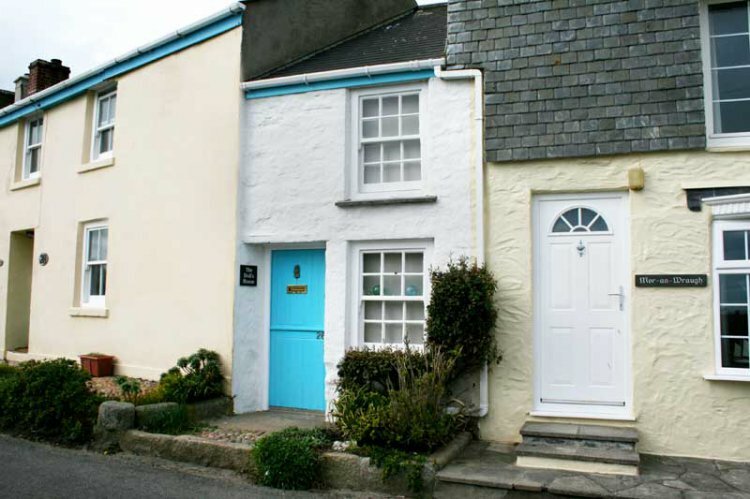 While compact in size this is a well-positioned, well-equipped property with an 'ah'... factor for cuteness. Entered through a stable door into the tiled ground floor area, giving a Mediterranean feel to the place. Thick stone walls provide the character and add to the cosiness. The dining area has a drop-leaf table with two chairs and good views of the famous clock tower and down the coast towards The Lizard. A step up into the recently re-tiled well-equipped kitchen with electric cooker with 4-ring ceramic hob and extractor, good storage and work surface area, microwave and fridge with freezer compartment. Four steps lead from the kitchen to the shower room with shower cubicle and electric shower, sink, toilet and heated towel radiator. The main stairs lead off the kitchen to the first floor which has timber floor throughout. There is a galleried bedroom with double bed, bedside shelving and lamps, built-in wardrobe and drawer space. Also upstairs is the small but comfortable lounge, with wonderful views over Porthleven, the clock tower and down the beach towards Loe Bar and Lizard Peninsula. There is a two-seater sofa, with a handy shelf/table and lamp, combi DVD/LCD TV with Freeview and a window seat complete this quaint room. The harbour and coastal path are both nearby, a path almost opposite comes out next to the Ship Inn on the harbour wall, very handy! Rental includes bedlinen, electricity and towels. Heating is by slimline wall-mounted convector heaters and parking is on the road, usually immediately outside the property. Regret no smoking and no pets.